A petition to fully legalize marijuana in North Dakota appears to be heading to the November ballot, an election official at the secretary of state’s office indicated to Marijuana Moment on Tuesday. The office is currently wrapping up the signature verification process, which involves sending a couple thousand postcards to randomly selected signees to confirm information they included when signing ballot petitions. If the postcards come back with inconsistencies, “we look into things further,” the official said in a phone interview. The group behind the recreational cannabis petition, LegalizeND, submitted about 18,700 signatures to the Secretary of State office last month—far exceeding the 13,452 signatures required to qualify for the ballot. The deadline to verify the signatures and officially secure the initiative’s placement on the November ballot is Monday, August 13. The official said an announcement would likely come after the final batch of mail is delivered to the secretary of state’s office that day. What’s in the legalization initiative? That North Dakota, a decidedly red state, could become the next to fully legalize marijuana at the state-level has taken some observers by surprise. But perhaps even more surprising is the wide ranging nature of the initiative itself. Unlike other states that have legalized for adult use, this initiative would not place restrictions on things like the number of plants a person over 21 can grow or how much cannabis they can possess. All forms of marijuana—including flower, concentrates, hash and oils—would be permitted. The measure would also create a pathway for the expungement of criminal records for past marijuana-related offenses. You can read the full text of the initiative here. If the signatures on the petition are verified on Monday, the vote in November may be tight. 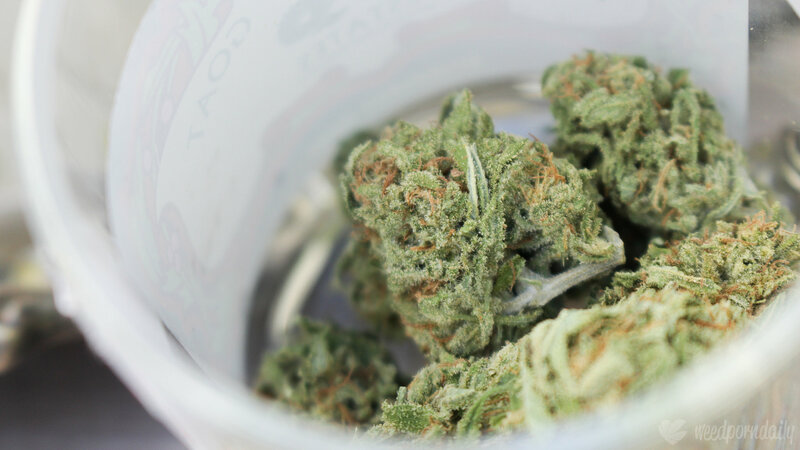 A June 2018 poll commissioned by LegalizeND found that 49 percent of North Dakota voters approve of marijuana legalization, 39 percent disapprove and 15 percent remain undecided. The most compelling argument in support of legalization to voters in the state is that “it will benefit agriculture in North Dakota,” the survey found. The recreational cannabis legalization initiative would represent a fairly significant departure from the state’s current medical marijuana system, which was approved by voters in 2016. The existing program prohibits home cultivation, allows qualifying patients to possess up to three ounces of cannabis and caps the number of licensed dispensaries at eight. North Dakota isn’t the only historically right-leaning state to move in the direction of cannabis reform in 2018. Three medical marijuana initiatives officially qualified for the November ballot in Missouri last week. And Oklahoma voters approved a medical marijuana legalization initiative in June.